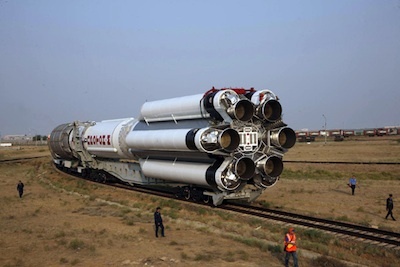 Russia expects to resume launching Proton rockets in October after an Aug. 6 upper stage failure stranded two communications satellites in useless orbits, according to International Launch Services, the Proton's commercial operator. Russian engineers working on a state commission investigating the launch mishap concluded the failure's root cause was the malfunction of a component in the Breeze M upper stage's pressurization system. The component was not manufactured to specifications, ILS said in a statement released Wednesday. Technicians will replace the bad parts on future Breeze M upper stages, and officials have set Oct. 14 for the launch of the Intelsat 23 communications satellite on the next flight Proton/Breeze M mission. A Proton launch for the Russian government will be next in line for liftoff Nov. 2. It will carry Russia's Luch 5B data relay satellite and the Yamal 300K communications satellite for Gazprom Space Systems. During the botched Aug. 6 launch, the Breeze M upper stage shut down seven seconds into the third of five engine burns planned, placing its payloads in an orbit well below the targeted altitude. Indonesia's Telkom 3 and Russia's Express MD2 communications satellites were aboard the Proton's Aug. 6 mission, which was conducted by Khrunichev, the Proton's prime contractor and chief operator. U.S.-based International Launch Services, owned by Khrunichev, oversees commercial sales of the Proton rocket. ILS convened its own failure review oversight board to look over the results of the Russian state commission. Representatives from nine satellite operators, two insurance underwriters and outside engineering experts sat on the ILS review board. "This is an opportunity to learn, enhance and improve the overall reliability and processes of our systems," said John Palme, acting ILS vice president and chief technical officer. The Aug. 6 mishap marked the second Breeze M failure in less than a year. A Breeze M upper stage placed another Russian satellite in the wrong orbit during a launch in August 2011 when that mission's Breeze M upper stage lost control of its orientation in space due to a programming error. Khrunichev general director Vladimir Nesterov was forced out of his job at the end of August. Russia's space industry, which has suffered a string of embarrassing failures in recent years, drew criticism from top government officials following the Proton/Breeze M failure last month. Russian Prime Minister Dmitry Medvedev last month ordered Roscosmos - Russia's space agency - to find who was to blame for the space industry setbacks. He gave Roscosmos one month to come up with quality control improvements to resolve the problems plaguing the agency and its industrial partners. 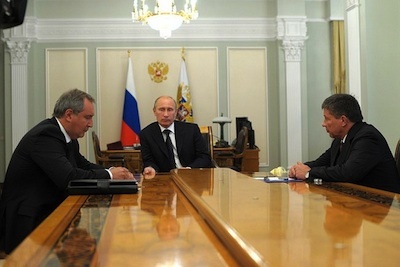 Russian President Vladimir Putin met Aug. 31 with Roscosmos director Vladimir Popovkin and Dmitry Rogozin, Russia's deputy prime minister, to discuss the state of the space program. Putin accepted Nesterov's resignation as leader of Khrunichev while seeking proposals for further personnel moves and organization changes.